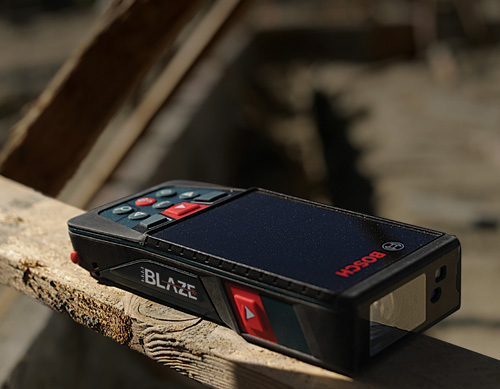 The Bosch BLAZE™ Outdoor GLM400C Connected Laser Measure with Digital Viewfinder features an adjustable zoom to find the laser spot in sunlit conditions up to 400 feet away from the spot. 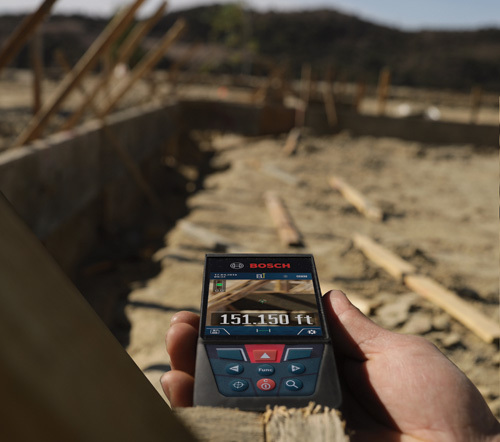 The user can then transfer the measurement documentation to a smart phone or tablet with Bluetooth® using the Bosch MeasureOn app. 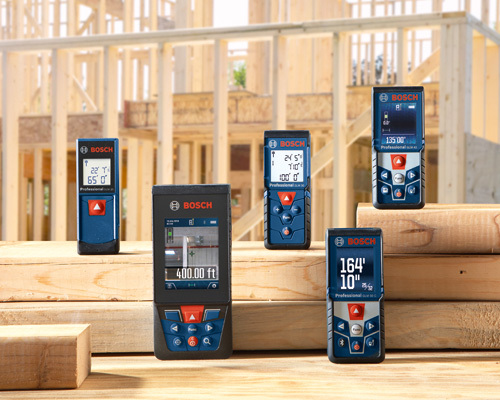 The outdoor laser measuring device provides default real-time length, length, area, volume and indirect measuring functions – which are simple to take advantage of thanks to the display guide that walks the user through each measurement process. 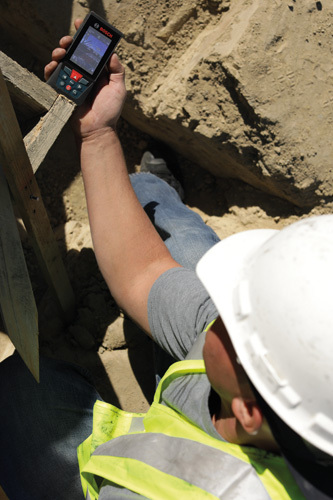 A built-in inclinometer allows the user to determine the angle of pitch and confirm when the tool is level. 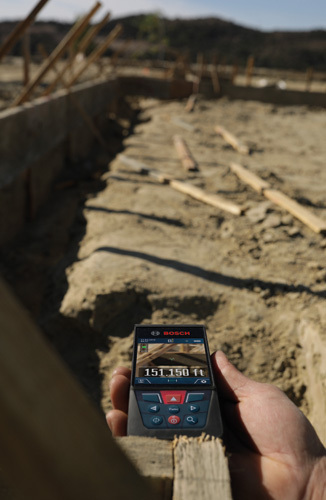 This laser distance meter measures distances up to 400 Ft. 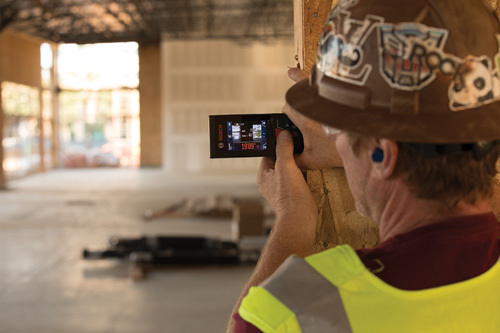 The digital laser Measure also features an easy-to-read backlit color display, reinforced screen glass, an easy-to-use display guide, 11 different measuring functions including default real-time measuring and 50-measurement memory.